This time of year it is really hard for me to be in Houston, even though it is probably the most beautiful time of year. The temperature hardly ever drops below 50F. I know that's an obnoxious thing to complain about but when you have grown up in a place with seasons, they are in your bones. As the months pass and the seasons barely change from warm, to warmer to beastly hot, it's disorienting, and like losing a piece of yourself. I miss snow! Probably because I was never a fully grown adult when I was in it, with a car to shovel out of a snow pile. I miss the cold air in my lungs, ice skating on gray frozen ponds, sledding down treacherous hillsides, and at the end of the day retreating indoors to a much deserved cup of hot cocoa. 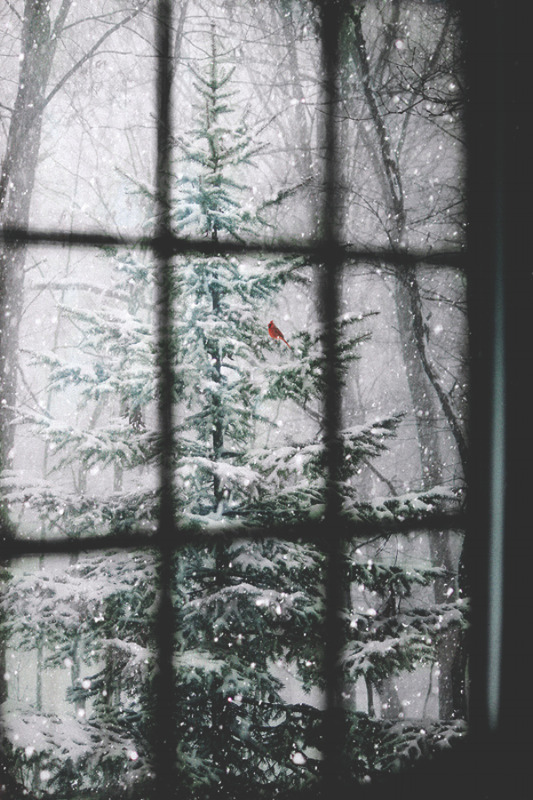 Instead, on a proper cloudy day here in Texas, I like to put on George Winston's December, make sure the scent of pine is in the air, and make cut-out snow flakes with the little ones, so that I cannot feel my heart breaking so vividly. Here a some winter scenes for those of us in more temperate places. I'm dreaming of winter in New England.